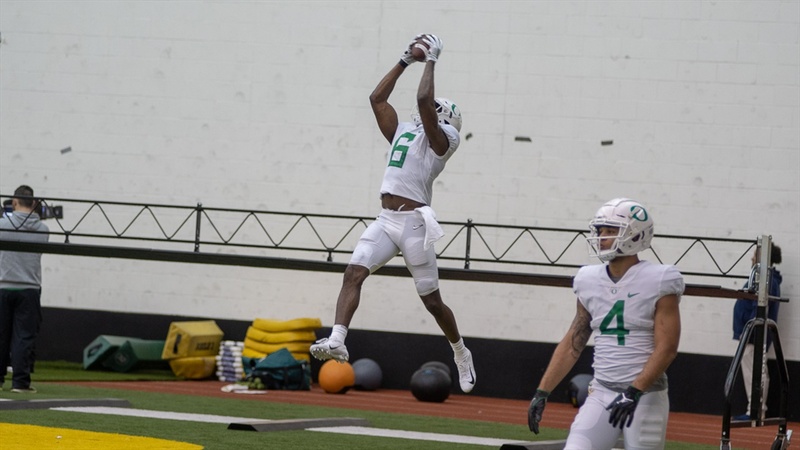 Oregon made some waves with the addition of graduate transfer Juwan Johnson. It's been a huge talk of Oregon football so far through Spring with his arrival. Johnson is easily Oregon’s biggest receiving target but also one of the most experienced. However his playing days have been at Penn State so he’s got a learning curve now adjusting to Oregon and Justin Herbert. Johnson spoke with the media for the first time Thursday following practice. Read below for the highlights from his interview or watch the video below.